The Yonkers Marathon & Half Marathon is by far the most historic race I direct. Yonker is the 2nd oldest marathon in the world (Boston is #1), has a long and storied history, and has a reputation for being remarkably challenging. Known as a marathoner's marathon, both the half and the 2 loop full are hilly, but fair. If you like to race, you will like Yonkers. The course challenges you to run intelligently and will reward you if you do. 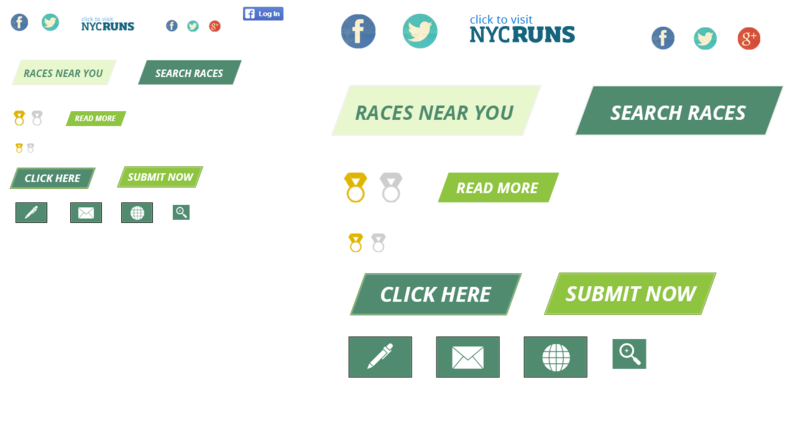 Since I became race director in 2011, Yonkers has grown into one of the largest races in the Hudson Valley. In some ways, it is still very similar to the race it has always been. It's a bargain at $50. for the half and $60. for the full (the prices do go up as we get closer to race day), and a great value at the higher price points. For the last few years, we've focused on small course improvements, building a great post-race party and, delivering world class amenities to the event. In the years to come, we plan much more as this humble race continues a return to greatness. 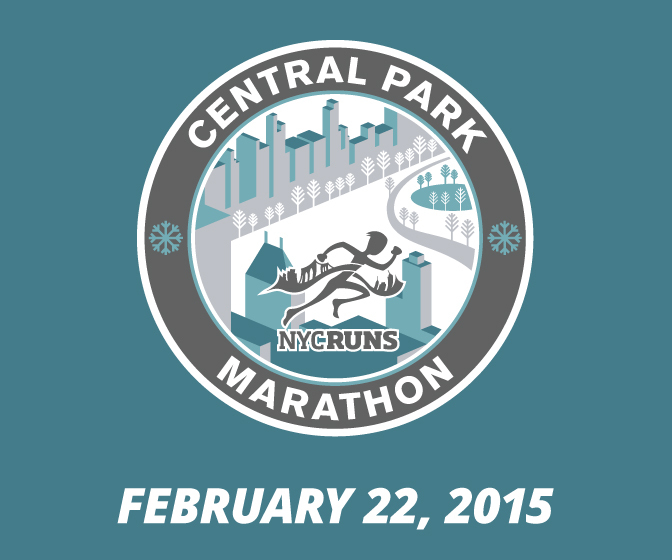 Please register now and enjoy the 2014 Yonkers Marathon & Half Marathon! For me, running has always been an escape, a solitary exercise that gives me a chance to clear my head and organize my thoughts. Whatever stress and clutter that may be filling my life at any moment seem to fade away with each mile I run. Even on long training runs, when several hundred runners and I pass by each other over the course of a couple of hours in Central Park, I still feel alone, buried in my thoughts, concentrating on form and pace. But running marathons has always been different. From congested starts to the crowds lining First Avenue and the wall of sound coming from the Wellesley College girls, marathons have always been a communal experience for me. Whether from the cheering crowds or competing in an event with so many other runners, I can’t say I ever felt “alone” running a marathon. That is, until I ran Yonkers. Spread out along the two loops of the 13.1 mile course that wasn’t completely closed to traffic, there were few runners, and even fewer spectators. But, don’t get me wrong. It actually wasn’t so bad. There were no crowded corrals or congested miles at the start. Within probably a 30-minute span, I got off the train, dropped off my bag, went through a long, but perhaps the most efficiently run port-a-john line I’ve ever been in, and lined up near the start of the race. That will never happen in New York, Boston, or Chicago. As I described the sparse running field and crowds to friends and family after the race, the consistent reaction was how awful that must have been. We typically think of marathons as being packed with both runners and spectators cheering us on along the course. We assume that’s what gets us through 26.2 miles of running. How else could we make it? Certainly not on our own, right? But how did you manage all your long training runs? Alone. Who pushed you to keep on running when you were tired? You did. When you run, who do you compete against? Yourself. So as it turned out, a small race like the Yonkers Marathon really was no different that what I experience every day when I run -- me pushing myself. I lined up at the starting line at the Yonkers Public Library across from the Metro North train station with about 800 other runners. As I would discover on the second time through the 13.1 mile course, most of them were running the half-marathon. By the time I looped back around and left downtown Yonkers again, heading north to Hastings-on-Hudson, I could only see two runners ahead of me, evenly spaced out probably 100 meters apart. Online elevation charts for the course are deceiving. There is a long, steep hill at miles 5 and 18 as you turn east away from the Hudson River and quickly make a turn back south. That hill stood out on the elevation charts I saw before the race, but what I failed to focus on was the steady uphill climb running north out of Yonkers, and the long rolling hills as you come back into town. More punishing than the hill at miles 5/18 is the incline leading up to a hairpin turn and steep descent at miles 10 and 23. Seeing the long hill in front of me at miles 10/23, then running through a sharp right turn, a U-turn to the left over a bridge and then a steep drop-off back to the street knocked me off my pace both times through the course. I recovered the first time through the course and managed to stay on pace, but my legs never lost the lactic acid burn after I came back through the second time. I enter races with a pacing strategy that will give me the chance for a new PR. Despite my best intentions though, I typically end up adjusting my pace (usually quickening it) based on how I feel in the early going. This usually means I go out much faster than I know I should (“banking” time), and then holding for dear life on the back end of the race. I know this is a poor way to race, but I always think “this is the race it’s going to pay off.” But it never does, inevitably leaving me struggling through the final 10K. Yonkers is the first marathon I’ve been able to execute a smart racing strategy -- running a little slower than target pace through the first 10 miles, and then picking up the pace in the second 10. Maybe that’s because I’m getting wiser with age, or maybe it’s because I wasn’t following other runners or listening to cheering crowds. I was alone on the course, concentrating on form and pace. I’m still chasing a sub-3 hour marathon, and I was close to that, but already thinking it was probably not within my reach on this course. Still, I was keeping with the strategy through most of the race, which for me, was a big improvement. My legs started to feel heavy as I came through the rolling hills that began around mile 18. My pace slowed by 15-20 seconds per mile, but I didn’t have the complete loss of energy I typically experience in this phase of the race. That changed with the zig-zag at mile 23. After that, I was just holding on until the end, visualizing an easy 3-mile run, even though the hills drained the energy out of my legs, giving me that running-through-water feeling of stiffness and inflexibility. Throughout the second 13-mile loop, I had been running alone, just like on training runs. There was not much crowd support, but where it did exist, I knew they really were cheering for me (hey, no other runners were around...). Strangely, that became almost more motivating than hearing the shouts of large groups cheering for thousands of runners coming by. In the end, the (almost) non-existent crowds and having to run on a course only partially closed to traffic didn’t affect my race. I finished in 3:04:27 (a new PR), 10th place overall, and second place in the Male 40-49 division. It was nice not to have to run through crowds for the first few miles. And of course, there was no pack of runners or spectators I had to hobble through as I made my way to the train back into Manhattan, thinking about the small race that was the Yonkers Marathon, and how everything would be different on Nov. 3 when I would line up at the base of the Verrazano-Narrows Bridge with more than 45,000 other runners for the New York City Marathon. My 1st half marathon since 3 stents were put into my arteries. Finished it in 2:23 fely good, have done 4 more halves since, will due the full one this time around & will do the NYC marathon on Nov.2nd. Alive & well!!! !